Keeping crucial MRO supplies in stock is vital to maintaining an efficient operation, so having an industrial supply distributor you can count on to provide maintenance, repair, and operating supplies when you need them is imperative as well. 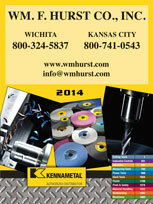 If your business is in Kansas City, Wichita, Dallas, Fort Worth, or another nearby Midwest city, the ideal place to turn is Wm. F. Hurst Co., LLC. We have been a trusted industrial supply distributor in the area for more than 50 years, and we offer a comprehensive selection of MRO supplies from some of the most trusted names in the business. 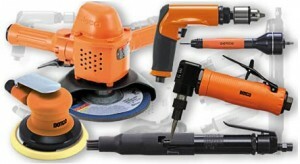 Whether you need power tools, hand tools, safety supplies, metalworking fluids, or industrial abrasives, we’re confident you can find the equipment you need to keep your operation running smoothly among our wide-ranging selection of MRO supplies. If you would like to learn more about our selection of MRO supplies and how it could benefit your company, please contact us today. Wm. F. Hurst Co. proudly serves businesses in many cities throughout the Midwest, including Kansas City, Wichita, Dallas, Fort Worth, Joplin, Springfield, and Sedalia.